"We had a very poor turnout at the college," said Schroeder. "It was almost embarrassing." 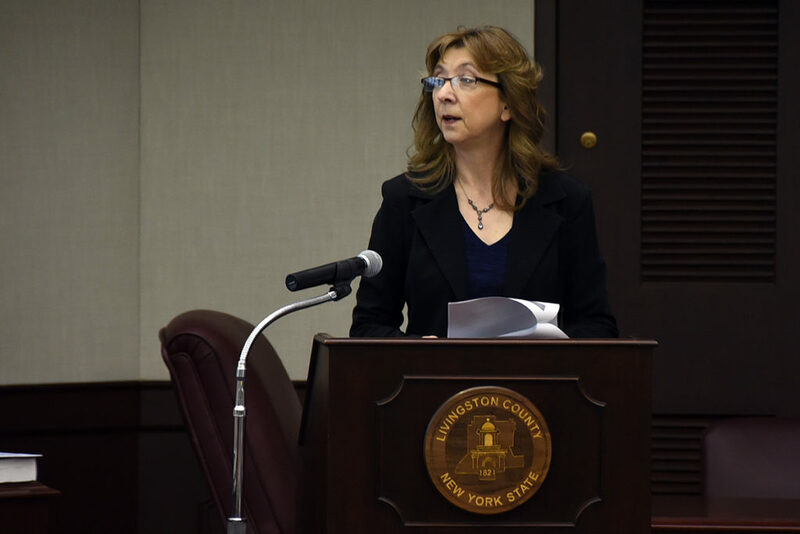 LIVINGSTON COUNTY — On Wednesday Rebecca Schroeder the Livingston County Board of Elections Republican Commissioner briefed the Public Services Committee on the results of the 2018 Spring elections. In the six Village Elections in Livingston County 1,166 people out of the 10,270 registered voters exercised their right vote. In the Geneseo election, there were 696 voters who participated down from 1,215 voters in 2015. In the most recent election, out of the 696 voters whom took to the booth, 27 took place at the SUNY Geneseo Campus. Schroeder applauded Caledonia whom despite losing had their first Democrat candidate in years.